You'll be tickling the ivories in no time! Easy-to-follow instruction book features effective tools for learning to play so you can quickly and easily identify musical notes. 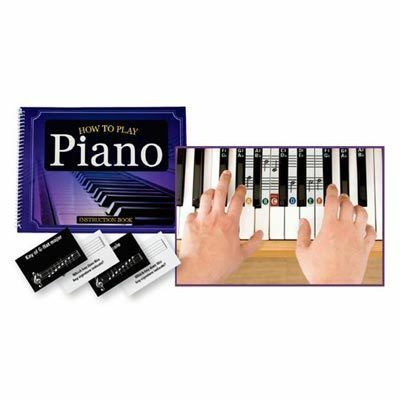 Includes 40 flashcards and 41 keyboard clings, 14 beginner songs, 12 major scales, and more! Spiral-bound paperback; 64 pages.